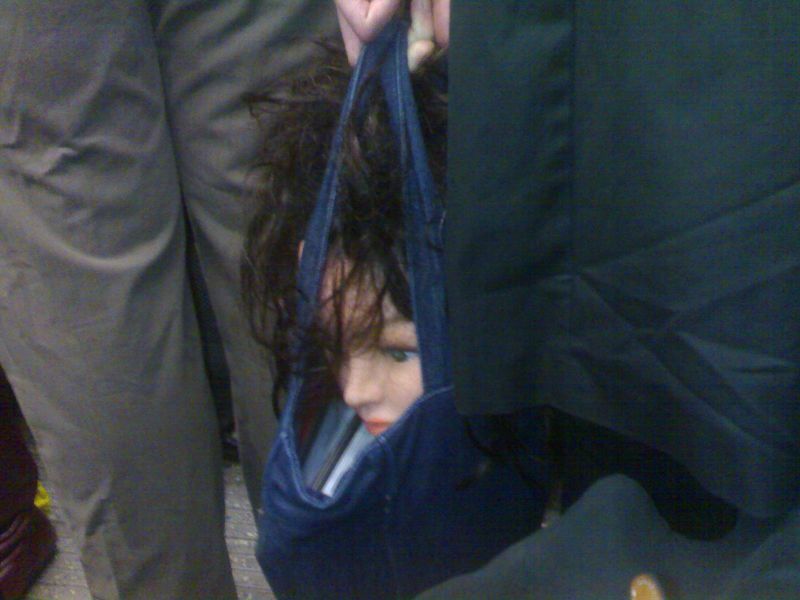 Head in a bag. On the Tube. Wish it had not looked like I was taking a snap of the people’s crotches. *By that, I don’t mean to suggest that heads in bags are necessarily a good thing, but that when you see things like this, it makes the Tube A Good Place. This entry was posted in tube and tagged head, londonunderground, tube. Bookmark the permalink.